1. The Perfume River, 2018. 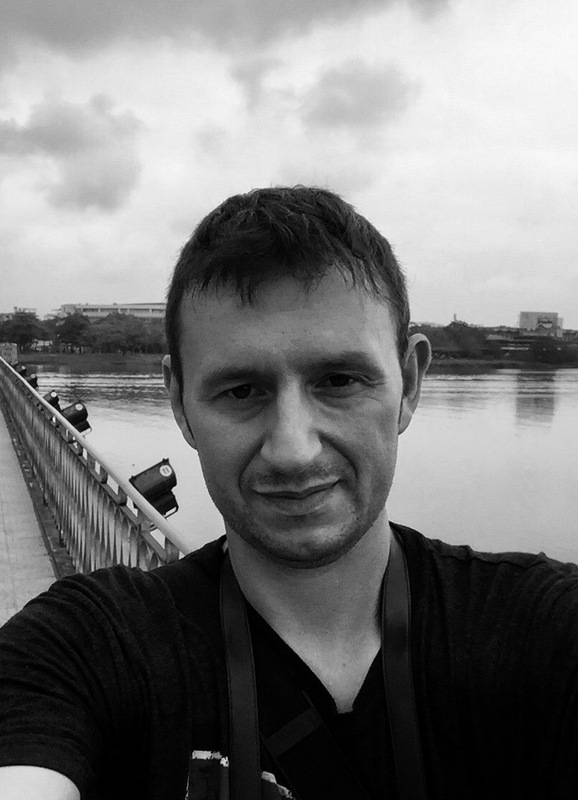 Hue’s Perfume River is a bit of a Jekyll and Hyde affair. In the day the waters are largely dead, far from pretty (a kind of soupy grey-brown) and not a trace of perfume wafting in the air. Apparently that can only be experienced in late autumn when the riverbank flowers lose their blossoms, decomposing directly into the water. 2. The Perfume River, 2018. 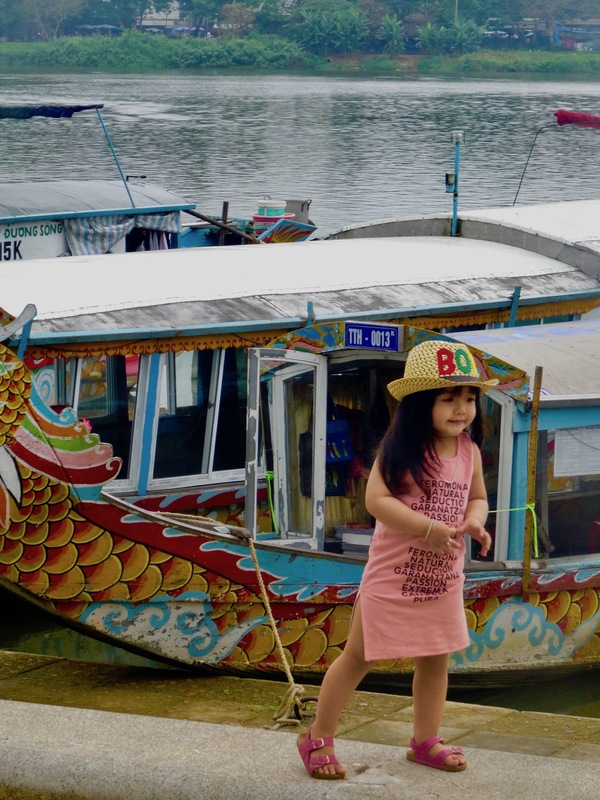 Nevertheless, a key part of Hue’s charm is the long riverside promenade and park with its squadron of dragon restaurant boats. Again, the whole place is dead in the day, but at night the lights come on, tourists flock and boats chug hungry customers along the river. 3. The Perfume River, 2018. The river’s city centerpiece is the graceful Truong Tien Bridge, designed by French legend Gustave Eiffel. The old structure has certainly been through its fair share of woes. It was heavily damaged by a storm in 1906, shredded by mines during the war with the French in 1953 and… for good measure… the Americans did their best to bomb it into the river in 1968. But she’s a hardy soul and 114 years later Truong Tien is still going strong. 4. The Perfume River, 2018. The bridge has a pedestrian walkway, so naturally I decided to include it in my walking route to The Imperial City. There was very little foot traffic that afternoon, though the constant flow of buzzing cars and bikes certainly compensated for that. 5. The Perfume River, 2018. It’s at night that you really start to feel The Perfume’s romance and charm. 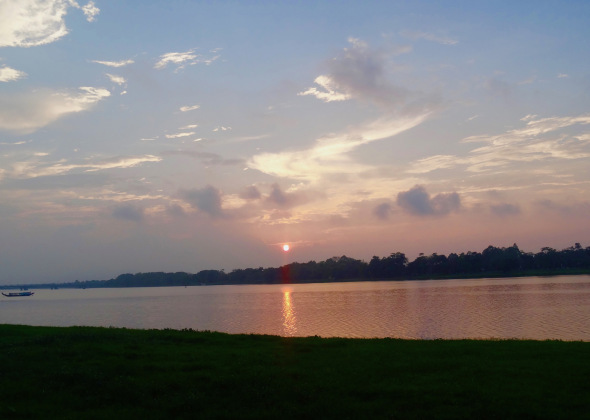 I caught a wonderful sunset one evening from a deserted spot of grassland near the night market. It literally felt like an explosion of color; the lights on the bridge coming on as people gradually filtered down to the banks to snack and chat. 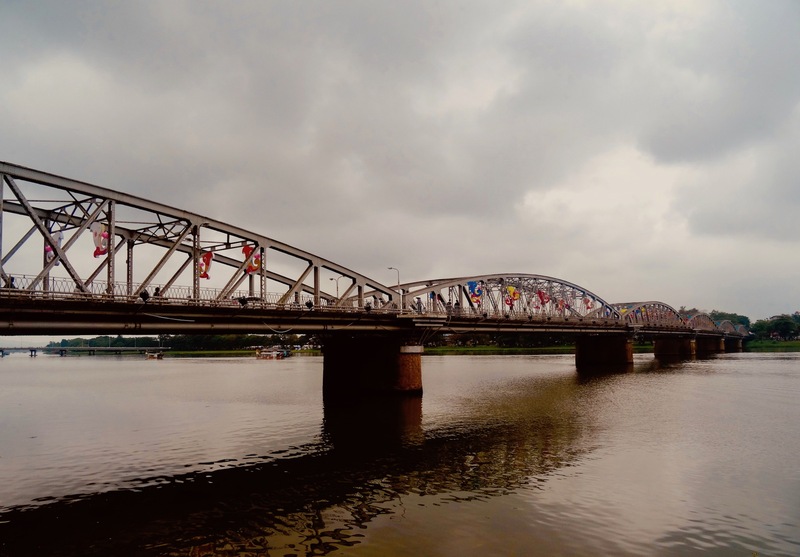 Long Bien Bridge (Hanoi, Vietnam). Mária Valéria Bridge (Štúrovo, Slovakia). Wenxing Bridge (Taishun County, China). Saphan Mon Bridge (Sangkhlaburi, Thailand). Charles Bridge (Prague, Czech Republic). Check out more 5s from the Vietnamese city of Hue. Like these? I’ve written many more articles from all around Vietnam. My 5: The Royal Gardens – The Imperial City – Hue, Vietnam. The National School (Truong Quoc Hoc) – Hue, Vietnam. Through your travels, I learned a lot about Vietnam’s scenic spots, which impressed me deeply. Thanks Michael, it’s an amazing country with such varied landscapes!